Wall Clocks Section is dedicated to all kinds of timepieces that show the time of the day. 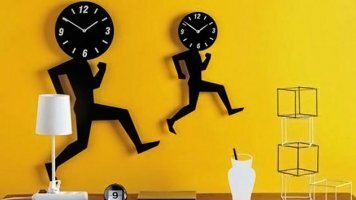 Shop for unique wall clocks from worldwide! Sell wall timepieces on Export Portal – a huge online marketplace! Clocks are an important human invention which help to measure time intervals. However this is not their unique purpose, as clocks can also have an esthetic function. Wall clocks are one of the basic elements of home decor which can add originality to any interior. Browse our vast assortment of wall clocks all styles, shapes and materials. Select from vintage, modern, retro, traditional or contemporary clocks. You always find the best products on Export Portal! Sell and buy original wall clocks, check for new arrivals and hot offers!